Courtesy A Fort Wayne program called HEAL, for Healthy Eating Active Living, addresses access barriers to healthy foods. Its initiatives include cooking classes that teach the importance of incorporating fresh produce into daily diets. The messages aren't long – a few paragraphs at most – but they illustrate the effects of a growing program aimed to help Fort Wayne residents eat healthier. 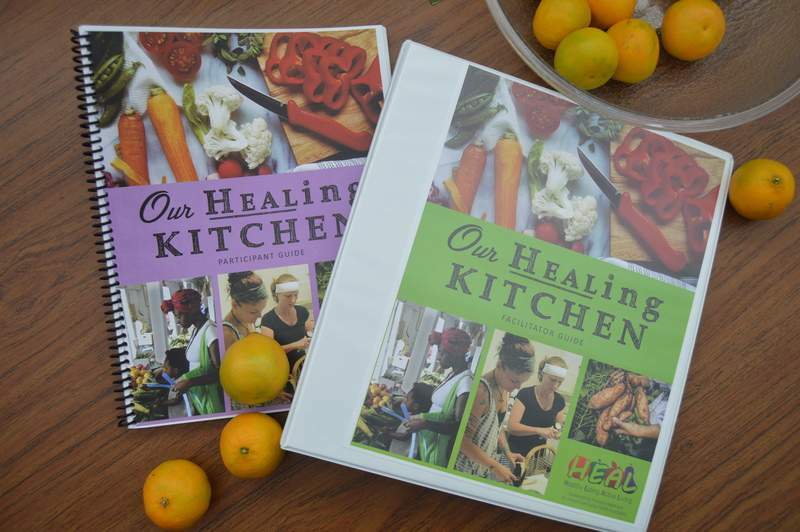 That's a sampling of the testimonials that Healthy Eating Active Living, or HEAL, has received for its Our HEALing Kitchen cooking class initiative. Sponsored by the St. Joseph Community Health Foundation and Parkview Health, HEAL addresses barriers to healthy foods. About 15 percent of Allen County residents – about 54,100 people – are food insecure, according to HEAL. Of those, about half are eligible for nutritional assistance, and nearly 11,400 are children. The cooking classes, which began with three pilot sites three summers ago, had more than 50 partners – including churches, nonprofits and youth organizations – this year, with more than 500 people served, program manager Laura Dwire said. About 300 people participated in 2016. The cooking classes teach people affordable ways to integrate healthy foods into their daily diets. The curriculum has evolved to include slow-cooker meals, information about the importance of nutrition during pregnancy, and more advanced recipes for returning students, Dwire said. “It really has been a success,” she said. HEAL also offers farmers markets in the city's low-income, “food desert” areas. The markets are advertised to the cooking classes, and students who attend six of the eight sessions get vouchers to spend, Dwire said. This year, the markets served about 1,800 people, up from nearly 1,250 the previous year. The market offers double the purchasing power for certain customers, such as those with food assistance, or SNAP, cards. For example, Dwire said, $5 on a SNAP card can be exchanged for $10 in tickets. HEAL is in the planning stages for next year's cooking classes, Dwire said. She hasn't taught a class but has seen students' enthusiasm for the lessons during visits. Many have told her they're grateful for the information. “It's such a good story to tell,” she said.